Windows 10 has been available for a day, and people seem fairly happy with the new operating system so far. 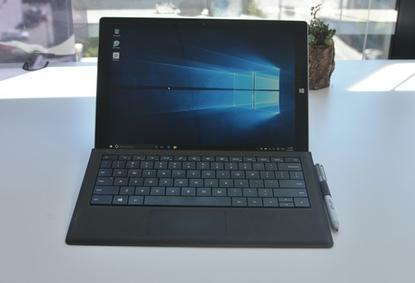 Early reviews of Microsoft's latest operating system showed a group of journalists largely pleased with what Windows 10 had to offer, and that seems to have been borne out by what people are saying on forums and on Twitter. The return of the Start menu after its absence in Windows 8 is a frequently-discussed topic among those people who are fans of the new operating system on Twitter, as is the addition of Microsoft's virtual assistant Cortana. According to Adobe's Digital Index, 44 percent of social engagement around Windows 10 related to "joy or admiration," with an additional 20 percent relating to surprise and 6 percent relating to anticipation. The measurements came from sites including Twitter, Reddit, Instagram and YouTube. That's not to say the update has gone off without a hitch. Users have encountered plenty of bugs in Microsoft's new operating system, including an issue that prevents them from updating with the helpful error message "Something happened." Once they get the operating system installed, users may encounter issues downloading apps from the Windows Store or copying text in the operating system. Installation issues, plus concerns about the operating system's Wi-Fi Sense sharing feature, drove "sadness" in 30 percent of the social buzz around Windows 10, according to Adobe. The company said it's a better reception than Apple's OS X El Capitan announcement received, with 35 percent of social mentions of the competing operating system featuring sadness. To be fair to Microsoft, these sorts of complications usually pop up with the launch of an operating system, and it's hardly surprising that Windows 10 is causing issues for people this early in its existence. It's likely that the company will continue to push out fixes over the coming weeks in order to swat the bugs people are complaining about, especially since the Windows team was able to push rapid-fire updates to pre-release builds of the operating system in the run-up to its launch this month. Of course, it's still early days for the new OS. The company is still in the process of pushing out the upgrade to people who reserved it earlier this month, and users of Windows 7 and Windows 8.1 have a year to install Windows 10 for free on their devices.